For the love of lumberjacks. Made for a friend whose wardrobe has a definite slant towards flannel plaid, I wanted to represent the blend of colours to give some cozy comfort without actually using plaid. I drew up a pattern, making sure it was big enough so that I wouldn’t have to deal with itty bitty pieces. As it is, the yellow strip is only 1″ wide. 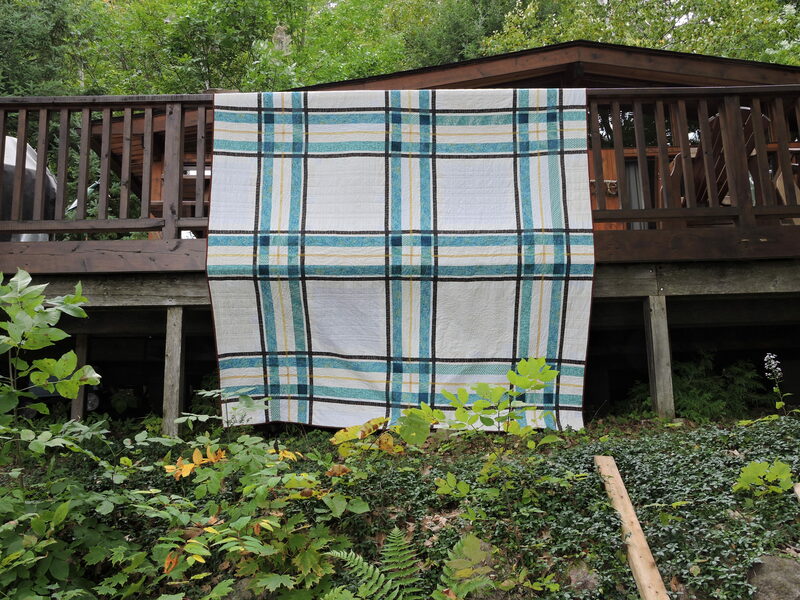 I used different fabrics, trying to match how the colours change when they overlap in a plaid pattern. 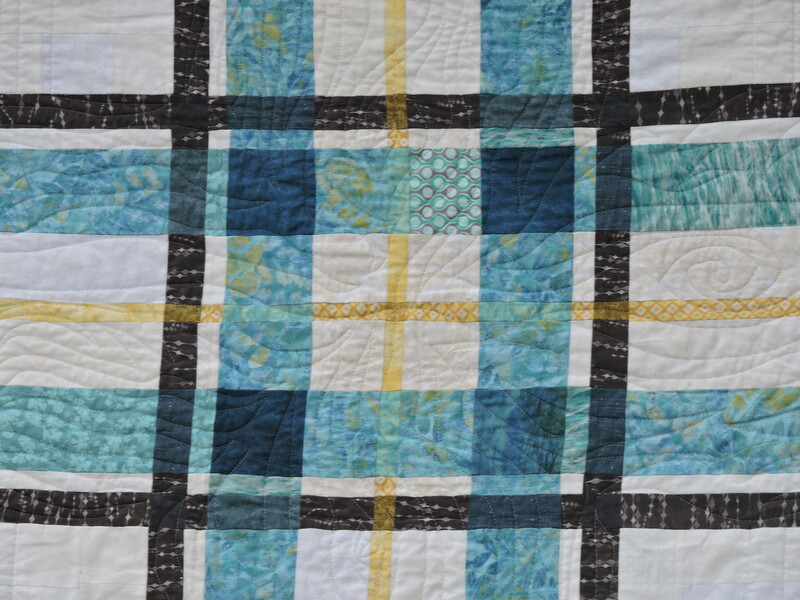 The most difficult to find was where blue overlaps with yellow; I did not want to end up using a green, and was fortunate enough to find fabric that seemed to maintain distinct blue and yellow. I wanted a little bit of the back to show in the front, so chose the red as a binding (spoiler!). 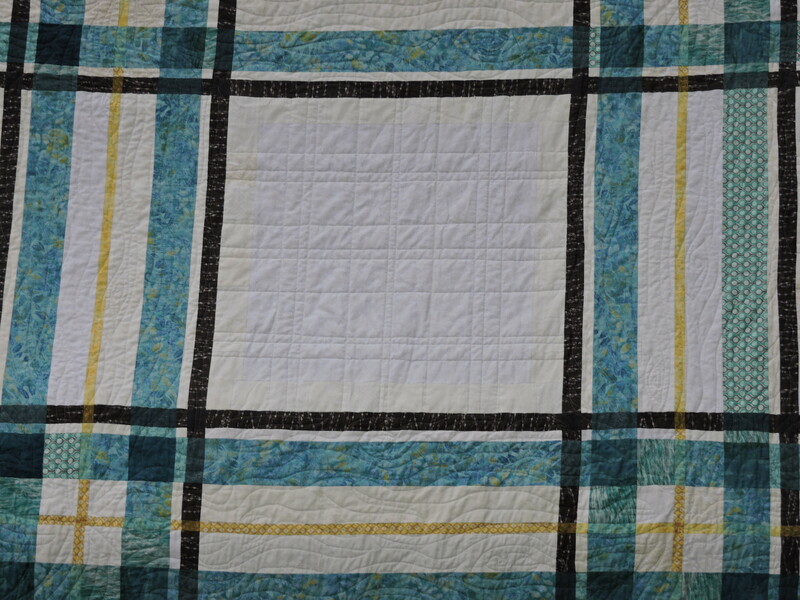 It was quilted free-hand, attempting to emulate a wood-grain pattern. 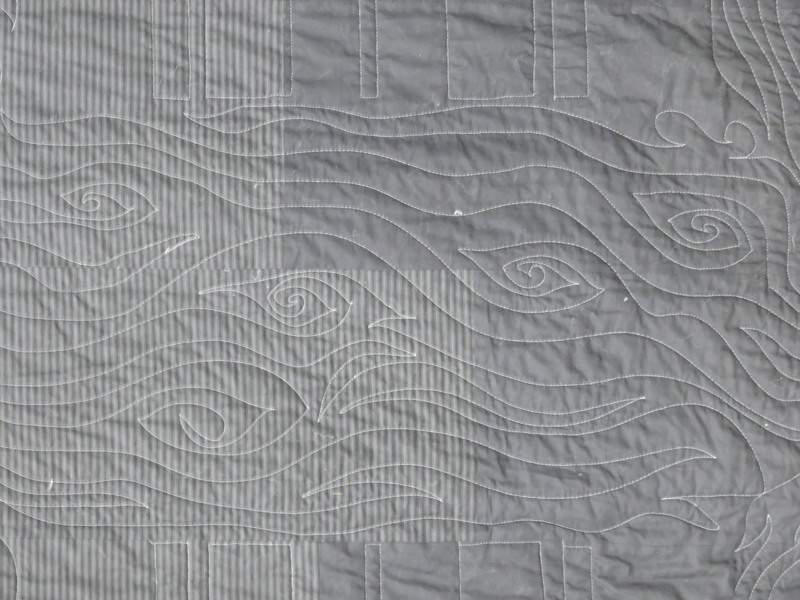 Sometimes they look more like waves, but for a first-time free-hand quilter, I’m not complaining. 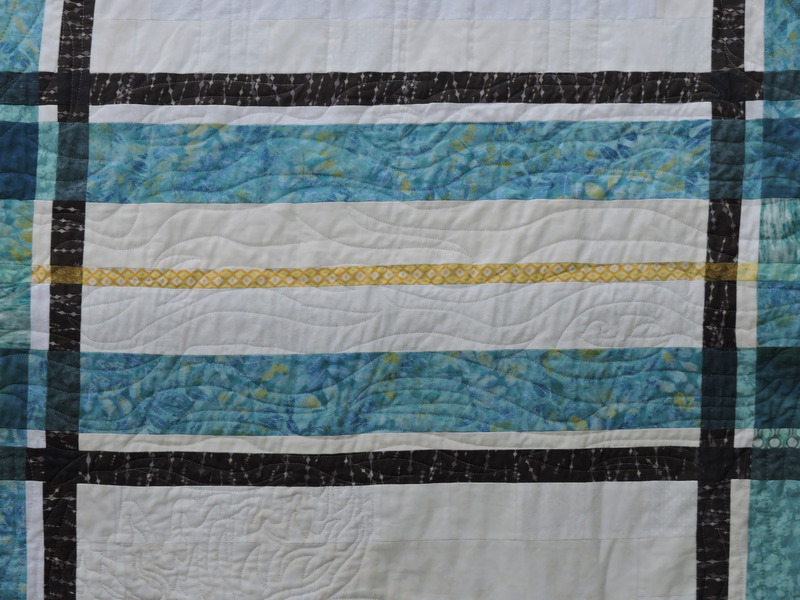 I was also listening to music and dancing while quilting so that probably contributed to the… waviness. 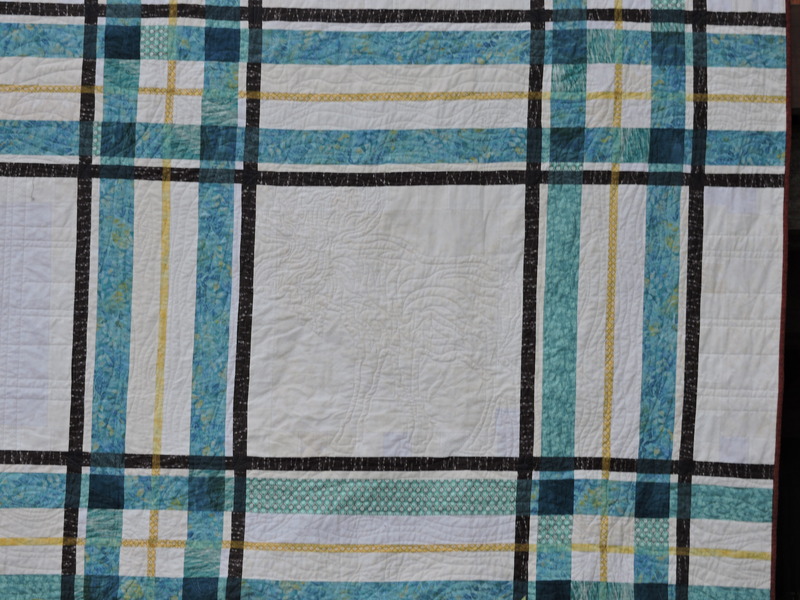 In the big white squares between the plaid, I wanted something simple to keep the attention on the plaid. So I chose to do straight vertical and horizontal lines for three of them. And a surprise for the fourth! Can you tell what it is? You can see it better from the back…. I wanted to make the back interesting, if not reversible. 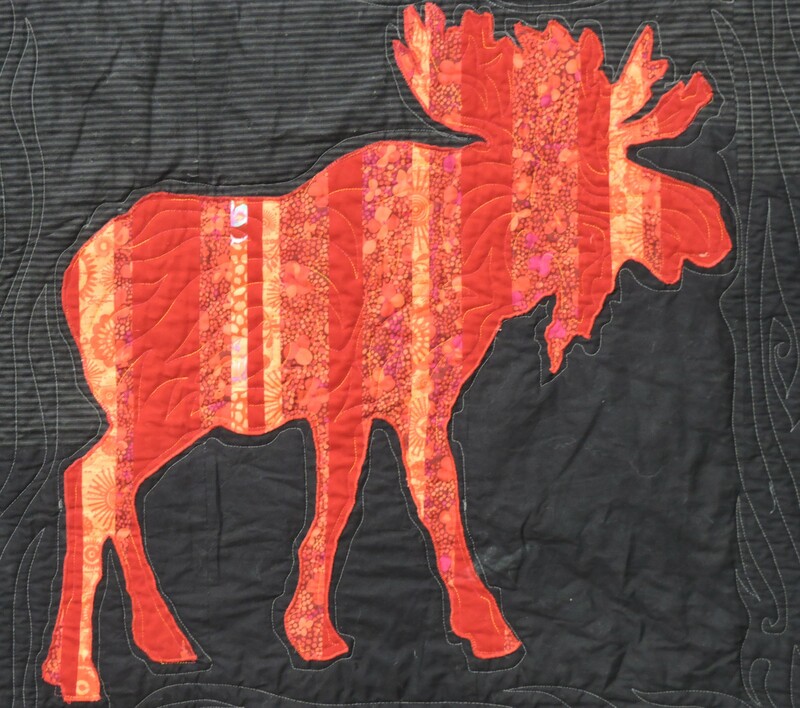 The moose is appliquéd on. 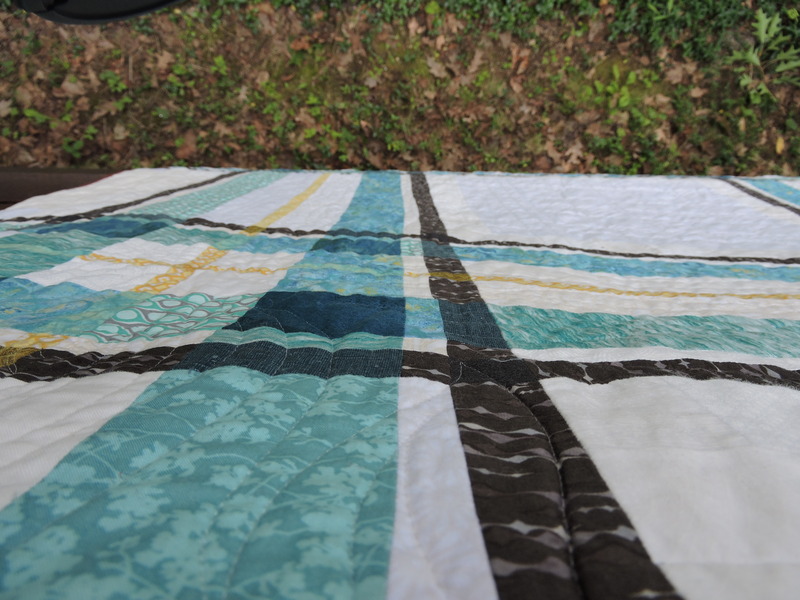 It was the first thing quilted, and we had to be a little creative in how to roll the quilt onto the long-arm once that part was done. 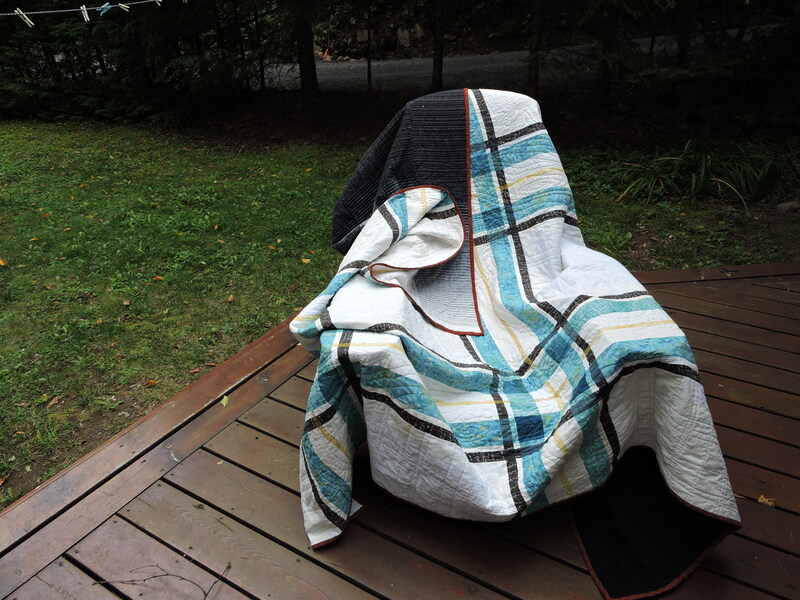 The rest of the back was quilted in a light grey so the wood-grain is a lot more obvious. Hopefully next time there will be some in-progress photos, but for now just bear with my excess of finished pictures. 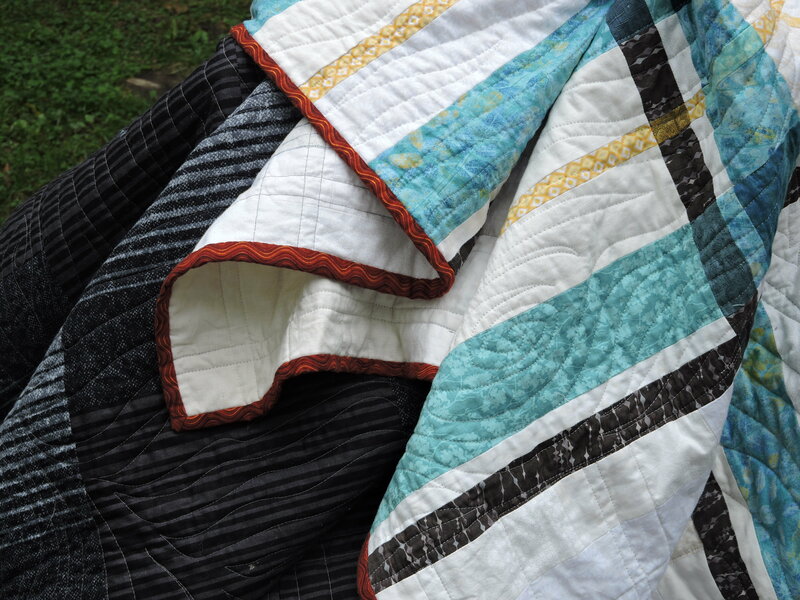 I suppose once I have made a lot more quilts, I will be more blasé about it, but for now I am pleased as punch. There have been mumblings of turning my scratched out plans into a real pattern in case anyone was interested, but that will be a while coming. ← Lesson #3: The dangers of post-secondary education. Stephanie that is amazing! Everything about it is awesome. I know I saw bits and pieces as you were making it, but I never imagined such a great final product! I had not seen the finished project either. 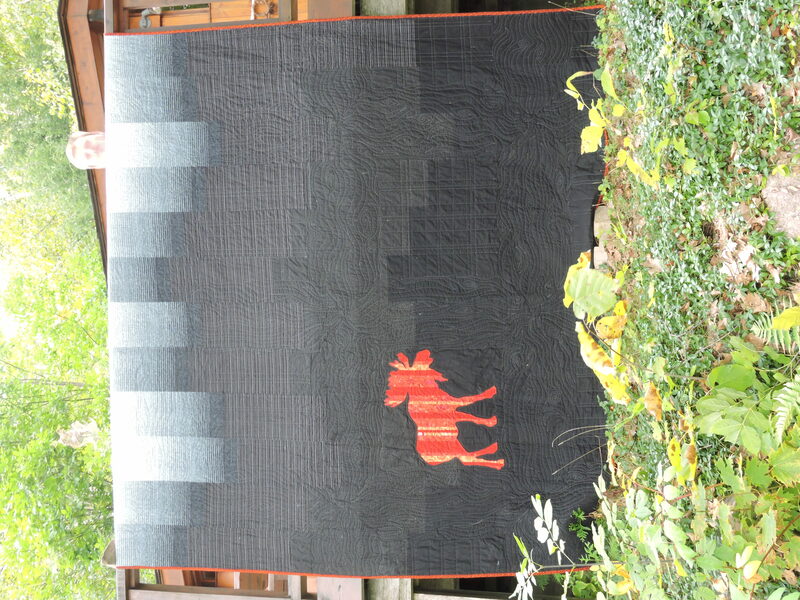 You very bravely quilted a woodgrain pattern free-hand and it turned out great! It was nice to see pictures of the finished project, it really gives a good idea of the whole pattern.